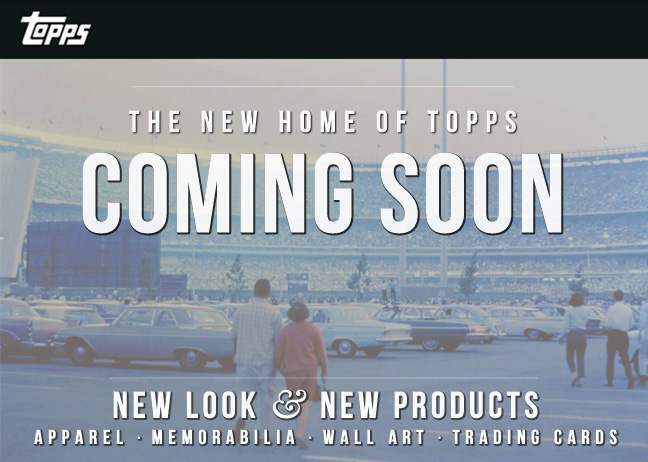 I received a message from Topps today letting me know that they are going to have a super awesome new web page next week. I would say I'm excited but I'm sure it will be infrequently updated and just overall not very helpful for card collectors as their webpage currently is now. Beyond that though, I'm troubled that "Trading Cards" is the fourth thing listed of the four categories that the web site will be focused on. Am I making something out of nothing? The hell with the website, that is a FREAKING AWESOME photo of Shea Stadium!!! !